In celebration of their recent accession to the European Union, Bulgaria commissioned Yanko Apostolov Architects to design a gorgeous new National Museum Complex to house the country’s art collections. 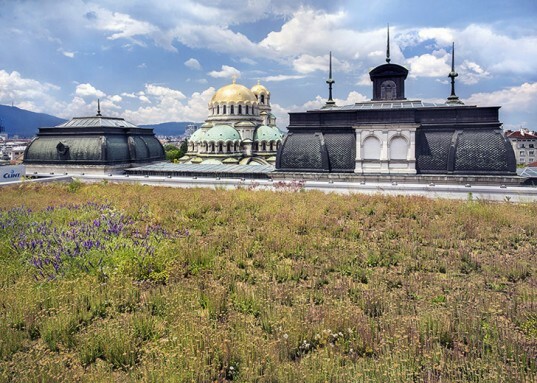 Situated in the city of Sofia, the series of buildings incorporate existing historic architecture with sustainable new additions. The project will transform the existing complex, giving the public access to new space while preserving historic architecture. Phase 1 of the museum complex includes two museums: the National Art Gallery, and the National Gallery for Foreign Art. Supported by the European Fund for Regional Redevelopment, the revived cultural center sits in the historic Alexander Nevksy Square—an important area for Sofia over the past 100 years. Once the site of culture and manufacturing, the museums will take over the former Technical University and its adjacent courtyard, adding glass structures to unify the existing buildings and connect the museums. Yanko Apostolov Architects’ design, which won an architectural contest in 2010, places the complex with the courtyard as its focus, using it as a meeting space for visitors to both museums as well as the public. The courtyard was redesigned to allow the public to access it, and transformed into an open air sculpture garden and flexible-use space. 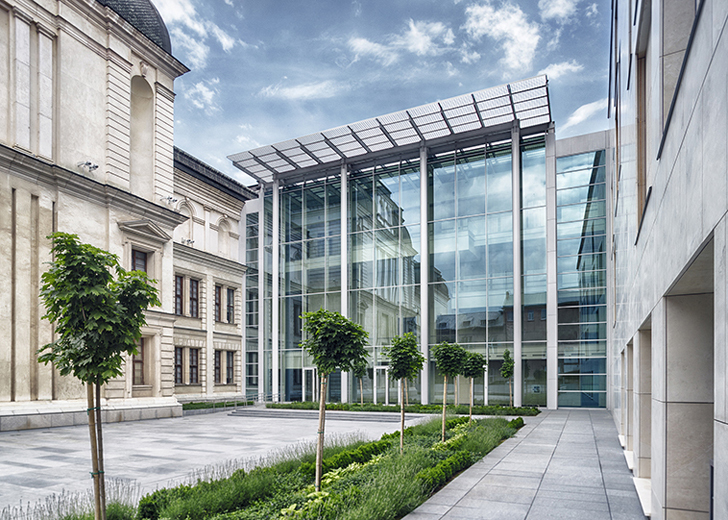 A new volume was added to connect existing buildings in matching Vratza Limestone, as well as a glassy structure that feeds the museum interiors with natural light while unifying the museums. When possible, existing structures and materials were used in order to cut down on waste and maximize adaptive reuse. The architects also updated the complex with a sophisticated series of sustainable design elements, like exterior shading, dynamic lighting, an insulating green roof that doubles as rainwater filter, and radiant flooring to keep temperatures efficiently comfortable inside. The modern complex fuses historic architecture with modernity, creating a new center for tourists and locals to enjoy art. Phase 1 of the museum complex includes two museums, the National Art Gallery, and the National Gallery for Foreign Art. Supported by the European Fund for Regional Redevelopment, the revived cultural center sits at the historic Alexander Nevksy Square, am important area for Sofia over the past 100 years. Once site of culture and manufacturing, the museums will take over the former Technical University and its adjacent courtyard, adding glass structures to unify the existing buildings and connect the museums. Yanko Apostolov Architects’ design, which won an architectural contest in 2010, centers the complex with the courtyard as its focus, using it as a meeting space for visitors to both museums as well as the public. The courtyard was redesigned to allow the public to access it, and transformed into an open air sculpture garden and flexible-use space. The architects also updated the complex with a sophisticated series of sustainable design elements, like exterior shading, dynamic lighting, an insulating green roof that doubles as rainwater filter, as well as radiant flooring to keep temperatures efficiently comfortable inside. The modern complex fuses historic architecture with modernity, creating a new center for tourists and locals to enjoy art.